A bloom of dandelion stands for the end of ice cold winter and the beginning of spring time. The moment you witness white puffy spores blowing away in the air, you just feel it coming. From this we questioned: What if we can 'touch' the weather outside more directly rather than reading it from a screen? We then came up with an idea that can emotionally realize it. We normally check the weather with our devices before opening the wardrobe. Nevertheless, everyone has at least once experienced the belated unpleasantness to realize that the outfit was not proper after stepping outside. This is because the numerical information of temperature only tells you how cold/windy it is by rational anticipation. The weather should be FELT by your hand not READ with your eyes. 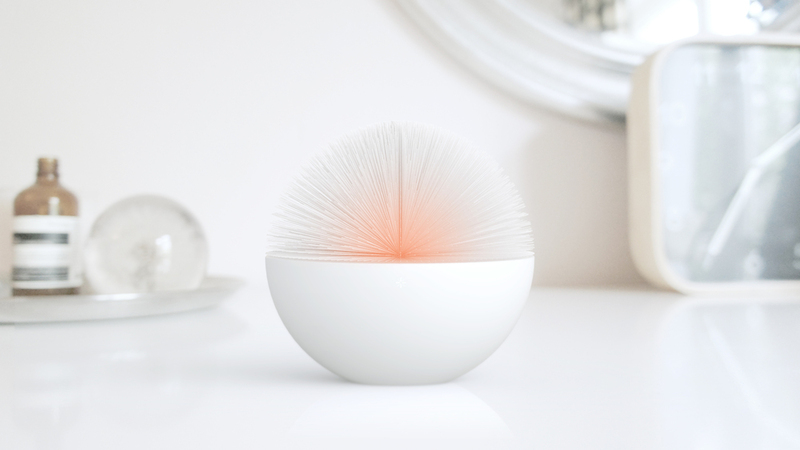 Dandelion is a product concept for feeling the weather outside. Soft spores above the body lets your fingers detect the temperature/wind strength by haptic experience. Here's simply how it works. 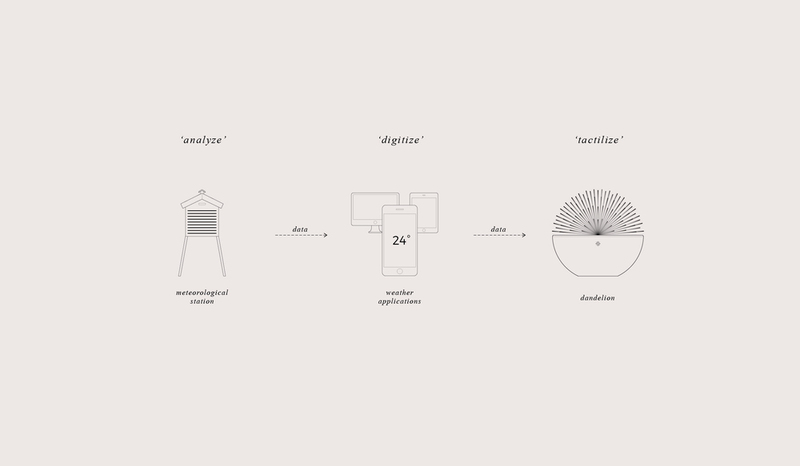 Since weather forecast information is already distributed to smartphone applications, Dandelion receives the temperature and wind strength information by wireless connection and transfers them into tactile feedback. The fan blowing below the spores controls the wind strength. When the spores shake broader, it means the wind outside is stronger. The heating/cooling module inside creates certain temperature of the wind along with ambient lighting color effect to visually emphasise it. By letting your hand gently into the spores, you feel the breeze/temperature outside. 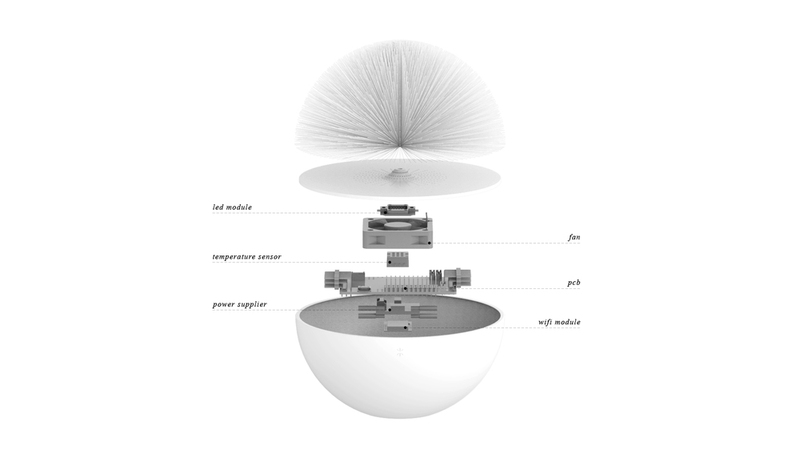 Exploded view of potential components. The lighting color supports visual feedback. The logo on the middle not only works as a power button but also indicates the progress status by lighting up one by one. When it is fully lit up, the weather is ready to serve. Published on 30th of April, 2015.